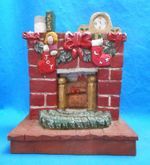 Add this hand carved fireplace decoration to your collection this Holiday. It is great gift idea to add to your Christmas collection. 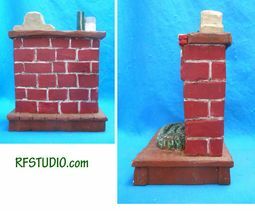 On the mantel you will find a glass of milk and a book for Santa to read. Measures: 4"w x 6" x 7.5" - from Basswood.